This is the collage pak that I used for Sunday Inspiration 6-7-15 Hello Beautiful and 7-9-17. It is alllll vintage. This has 6 pages of vintage ephermera. One page is a collage of the actual piece. 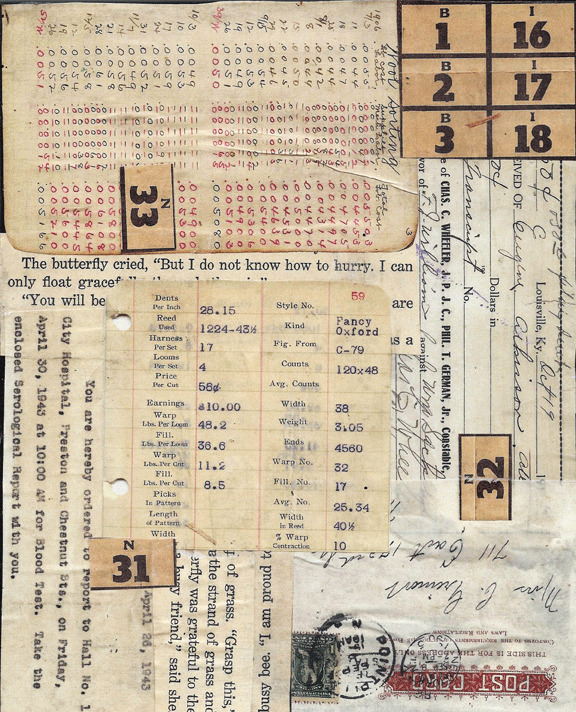 Then you have a vintage book page, vintage postcards, receipt, log page, wool sorting log, letter from 1943, bingo chart, and vintage wrapping paper. They will arrive in your email after payment is recieved, as a 300 dpi jpg. Or is your shop account. You can resize in your photo editing program or see instructions for downloading and printing below. They are yours to keep, print and reuse. Please make sure your email is correct when ordering because that is how you will get your download.